It is difficult to know the exact price of dental implants in Boston, or anywhere else, because there are so many variables. Besides the dentist’s experience and skill level, it also depends on whether you need extractions or other procedures such as bone grafting or a sinus lift. But one thing is certain, even with all other factors being even: You will pay a premium for visiting a dentist in the city. Located just 20 minutes from Boston, Implant Dentistry of the Northshore costs significantly less than our competitors. In fact, we have been known to get calls from Boston dentists who are less than pleased when we run our ads! At Implant Dentistry of the Northshore, we are solely dedicated to the practice of implant dentistry. In fact, we were named one of the Leading Implant Centers in the World by a committee of our peers. Dr. Rothenberg was one of the early pioneers of implant dentistry, enrolling in the first ever long-term continuing education implant program at Harvard University School of Dental Medicine. He graduated from that program in 1987, and he remains on the cutting edge of implant dentistry today. 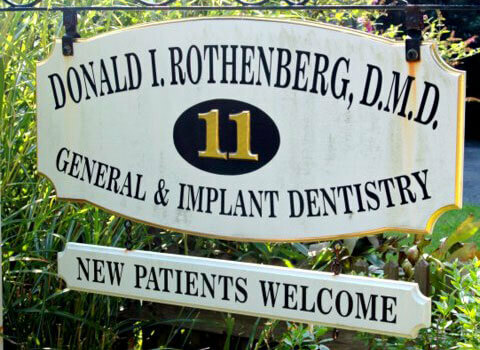 Dr. Rothenberg lectures nationally and internationally on implant dentistry and tissue regeneration. Despite these accolades, though, Dr. Rothenberg has never forgotten his passion for helping people. He visits patients at home after difficult surgeries, volunteers in the community as a Big Brother, and he works hard to ensure that cost does not prevent his patients from achieving the health and aesthetic benefits of dental implants. We don’t take assignment of insurance benefits.The patient pays us directly. That is one way we keep costs as low as possible. We do fill out the insurance forms and code them properly, with any documentation needed and submit them to the patient’s insurance. The insurance company will pay the patient directly, this seems to speed things up quite a bit. Our goal is to help every patient find a way to fit dental implants into their budget. That’s why we offer in house financing at 0% interest. Our office staff will walk you through the financing process and ensure that you have all the information you need to make an informed decision before work begins. If you are in the Boston area and would like to take the first step towards restoring your smile with dental implants, please call Implant Dentistry of the Northshore at (781) 639-3585 to schedule your initial consultation.